Al Dornisch has won several State Conservation Stamp painting contests including a recent Maryland State Black Bear Conservation Stamp competition. Ashley's Art Gallery often has a nice selection of Al Dornisch amazing original paintings. 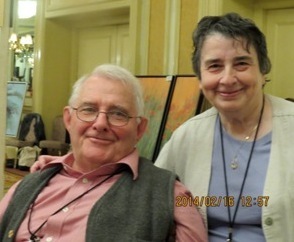 Al Dornish & his wife Carol.